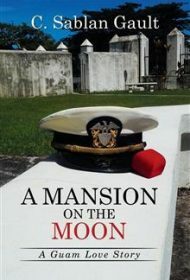 A family saga and heartrending romance, A Mansion on the Moon is a love story set against the backdrop of the unique culture of the island of Guam. It’s 1899. The American Navy has occupied Guam following the Spanish-American War, and the sailors are living alongside the indigenous Chamorro people and a few other island inhabitants. Amanda de Leon lives there with her large family and works in a local shop. Tim, one of the sailors, comes into the shop and is quite taken by the shy young woman. A flirtatious relationship blossoms into love, and they share a single night on the beach before Tim’s ship must leave the island. Their night together results in a child, but Amanda dies shortly after her daughter is born. Tim and Amanda’s relationship and the birth of their little girl, Sylvia, is only the beginning of this family’s compelling story. Author C. Sablan Gault also recounts information about Sylvia’s life, romance, and history. The more detailed and in-depth romance, however, begins with Vivian, Amanda’s granddaughter. Part One, about a third of the book, moves slowly, but when the story of Vivian and the dashing Philip Avery begins in Part Two, the narrative shifts to an engaging romance with wonderfully written and fully realized characters. Their chaste relationship takes awhile to build, giving readers time to fall in love with the characters and the island. The author’s strong voice is never more evident than when she describes the quaint island, which changes over the course of the story from a peaceful community and military outpost to an island ravaged by World War II and violence that the residents wanted nothing to do with. As Vivian and Philip transform, so does Guam, and both stories are dramatic, heart-wrenching but eventually uplifting. Despite its slow start, this unique love story should appeal to readers of romance and historically accurate fiction.